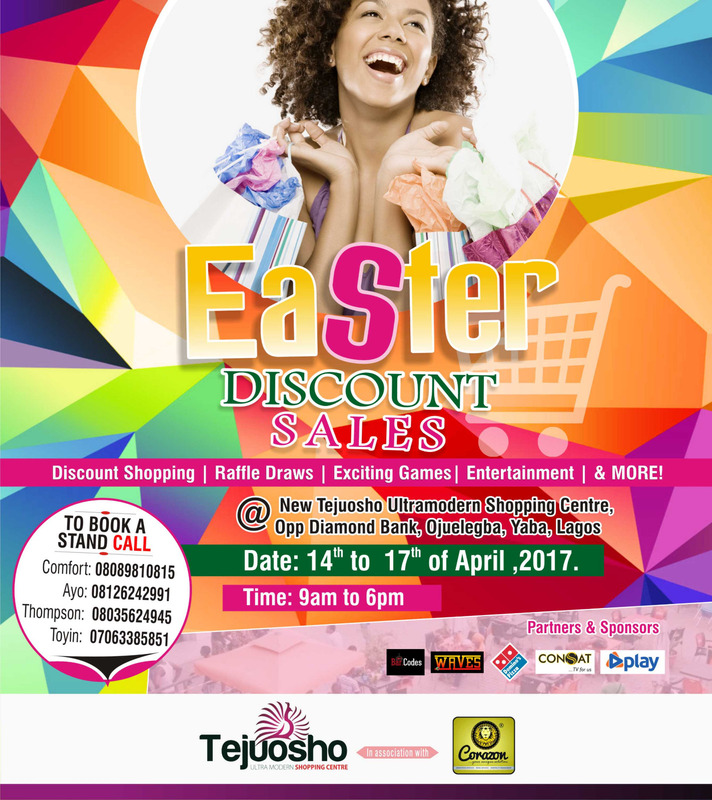 We plan to host over 100 exhibitorswho will showcase their product and services offering mouth-watering bargains. Categories include but not restricted to food & drinks, home & lifestyle, hair & skincare, makeup & cosmetics, fresh produce, arts & crafts, fabrics & clothing, photography & real estate, handmade products and generally made in Nigeria products. This Easter festival promises to be fun packed as this fair has been strategically positioned to attract the maximum footfall during this festive period with an expected attendance of more than 10,000 daily visitors so, this fair will offer a matchless and unprecedented opportunity to expand service and products’ visibility, socialise, network and have fun. Each attendee will be entered into the raffle draw; so you and you and you can be a winner!!! !